With the awesome trailer tantalizing us back last February, we’re certain there are many gamers eager to experience old school Sonic the Hedgehog. Well, for those of you claiming ownership to some kind of Windows Phone, you’ll be glad to know that we’re nearing its availability – with Xbox 360 integration as well. 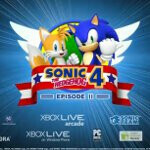 As it currently stands, Sonic the Hedgehog II: Episode 2 is slated to arrive for Windows Phone sometime this July, but the juicier news is the fact that it’s going to be the first game that’ll allow Windows Phone owners to continue the action on the Xbox 360 gaming console at home. Meaning, you can play through all the levels on the go, and continue from your spot at home with the console. Strangely, the game will be coming to Windows Phone last – whereas, the iOS and Android versions are slated to arrive in May and June. Nonetheless, it’s pretty awesome knowing that the Windows Phone version will have a cool trick up its sleeve. It’s one thing experiencing a classic style game like this on a smartphone, but it’s quite beneficial as well being able to experience the same thing on an Xbox 360. Touch controls are great, but sometimes you just can’t beat those physical controls.